Carl Philipp Emanuel Bach was destined to be a composer. His father was Johann Sebastian Bach; his godfather was Georg Philipp Telemann (hence the middle name). His grandfather was a violinist and he had 3 composing brothers. But his dad was smart enough to insist that a University education was the first step to success in life, so C.P.E. 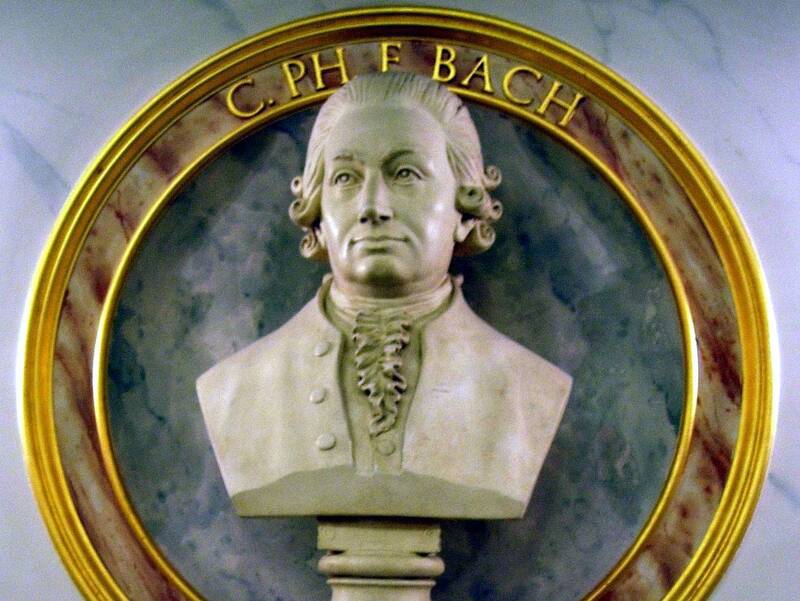 Bach studied jurisprudence and law in Leipzig and Frankfurt before he turned full-time to music. C.P.E. Bach was also a good businessman: he knew that the more musicians that could play his music, the more sheet music he could sell. That's why his concertos for cello were also transcribed and published for harpsichord, and even for flute.